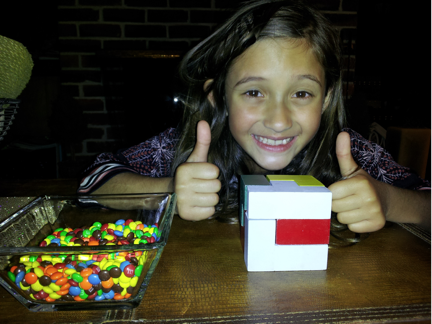 Grandad Science: Gillian Solves the Soma Cube Puzzle! Gillian Solves the Soma Cube Puzzle! Engaging with three-dimensional puzzles helps develop persistence and exercises the spatial visualization and problem-solving skills so important in the arts and sciences. 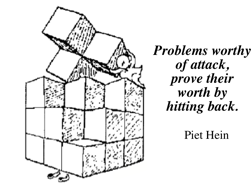 Those are reasons enough for us to be sure that our kids and grand kids have puzzles like the Soma cube to learn from and enjoy. 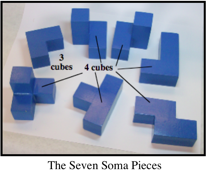 The Soma puzzle is available on the Internet or you can glue wood cubes together to make each of the seven pieces as shown in this diagram. Also, check out the previous blog posts that tell about three other youngsters, Malachi, Asher, and John, and the problems they explored using the seven Soma pieces.